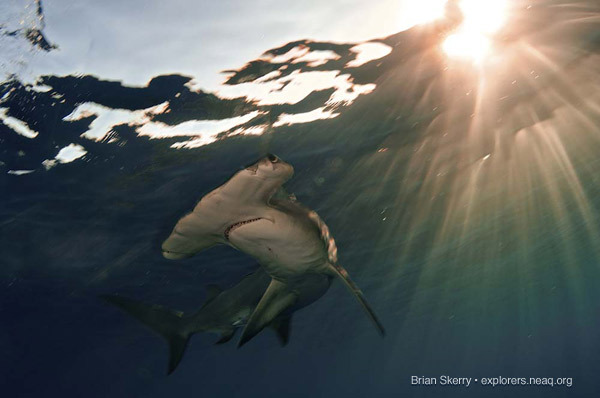 This is the first set in a series of shark and ray images by Brian Skerry, National Geographic photographer and the Aquarium's Explorer in Residence. This post features the great hammerhead shark (Sphyrna mokarran). 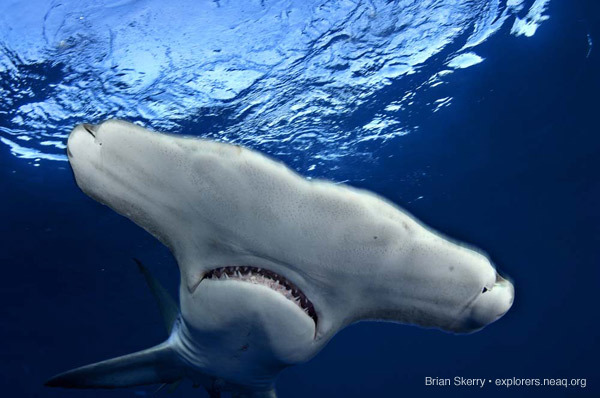 The great hammerhead is an elusive and solitary creature. Although it appears prehistoric, science tells us that it is evolutionarily advanced compared to other sharks, since its nostrils have separated to either side of its hammer-shaped head, giving it stereoscopic smell. Check out Brian's previous post about diving with mako sharks and this post he wrote about shark conservation.